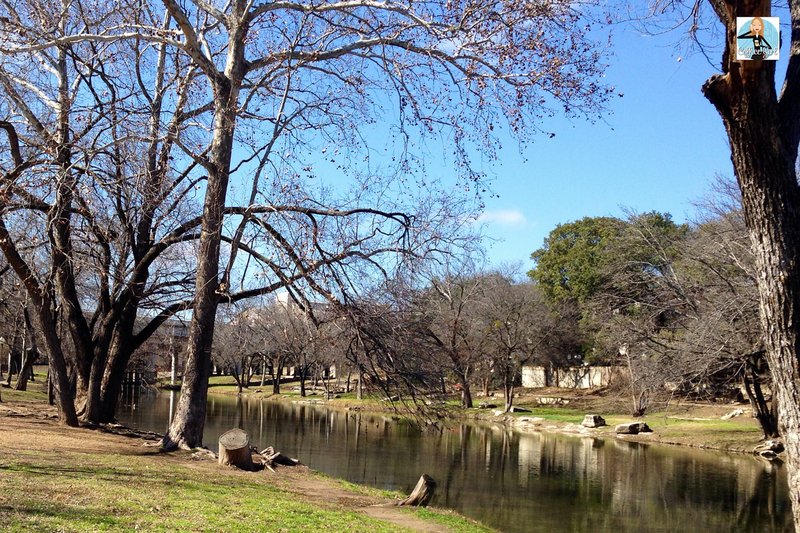 We’re back in Milwaukee this week, in the middle of a snowstorm, so my jaunt through Memorial Park in Round Rock, Texas, a couple of weeks ago seems like a dream. Thank heavens for photographic evidence! 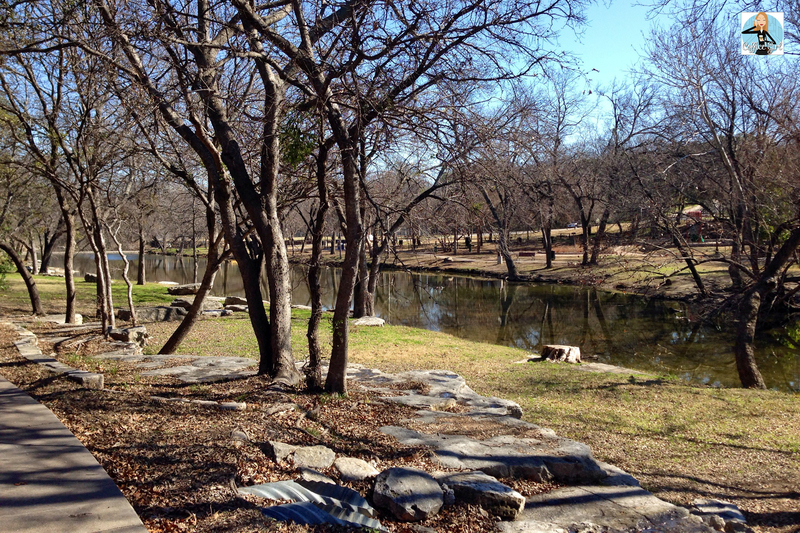 Memorial Park is home to the rock that gave Round Rock, Texas, its name. The park is right off of I-35. Brushy Creek runs through the middle of it, and a pedestrian bridge under the highway connects both sides. There’s a playground on one side and the Sunset Strip apartment complex on the other. It’s a very pretty park although a little bit seedy. I stopped there with the dogs after I saw the park off the highway when I was dropping Mike off for work. I had no idea that the famous rock was there, so I missed it entirely. I guess I was close, though. From what I’ve read, if you want to see the rock, you need to walk over the low water crossing near the parking lot and go along the north side of the creek. 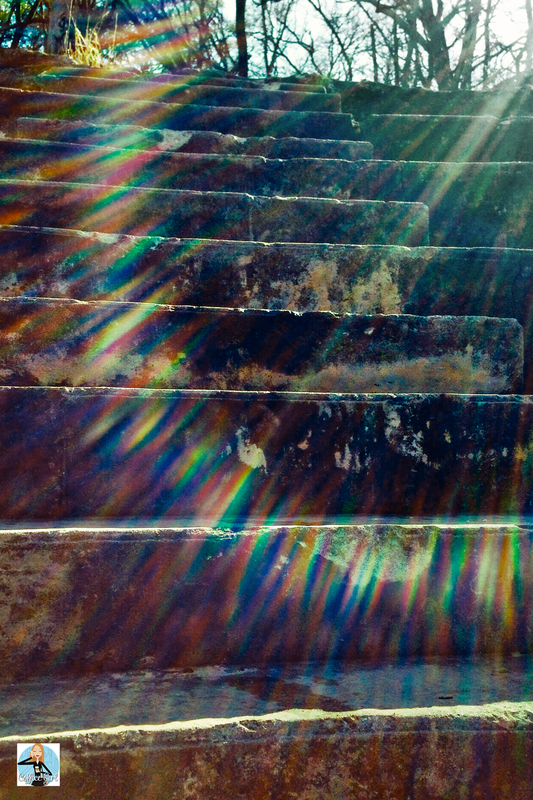 I strolled in that direction but got sidetracked by the granite stadium stairs by the softball field. I just had to climb ’em! I did two sets with the dogs, but then Sadie refused to do any more. I wasn’t going to let our little diva hold me back, so I parked the bark babies in the Jeep and did another 13 sets for a total of 15. The rock isn’t the only cool piece of history in the park. 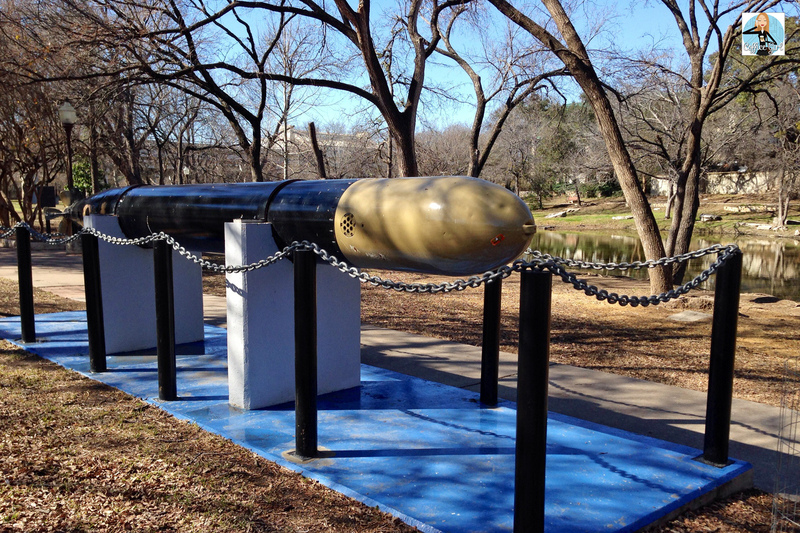 There’s also a Vietnam War memorial and a commemorative WWII torpedo to honor Round Rock residents who fought on behalf of their town and country. What a fun outing to remind me that there’s more to life than the deep freeze!